Two outstanding events this past week focusing on getting out there and foraging for your own wild food. 1. Chef Bill Jones of Deerholme Farm (www.deerholme.com/foraging) is an expert and has been actively doing so for over 20 years. He has a best selling Mushroom book and a new just published Foraging one. His informative mycelia guide includes porcini (cepe), pine (matsutake), chanterelles (early Fall) and morels (Spring) – in fact he says there are over 20 varieties of morel. Tips on sautéing wild mushrooms, roasting, grilling, steaming, rehydrating, freezing and powdering them. Bill’s demo for his The Deerholme Foraging Book: Wild Foods & Recipes from the Pacific Northwest spotlighted the fresh morels and stinging nettles. He served a delightful welcoming tea from the leaves of the nettles – heating, drying or freezing gets rid of the sting. Useful in making a pesto instead of basil leaves or good with chickpeas for a hummus with a more attractive rich green colour. More detail and recipes: www.timescolonist.com/eric-akis-stinging-nettles-101-1.938808. 2. “Nettles, nettles, nettles!” dinner by Chef Chris Whittaker at Forage Restaurant. Every course featured wild nettles with appropriate beverages. The first course of nettle & beer soup, hop croutons and drizzled raw honey matched well to a special local beer made from nettles, a bit of hops, with mint & ginger. Second course nettle and faro risotto, Golden Ears brie, hazelnut and nettle pesto. Third course nettle-crusted line-caught fresh halibut, nettle gnudi, wild mushrooms. Fourth course dessert nettle sorbet and crispy pain perdu with quince caramel. 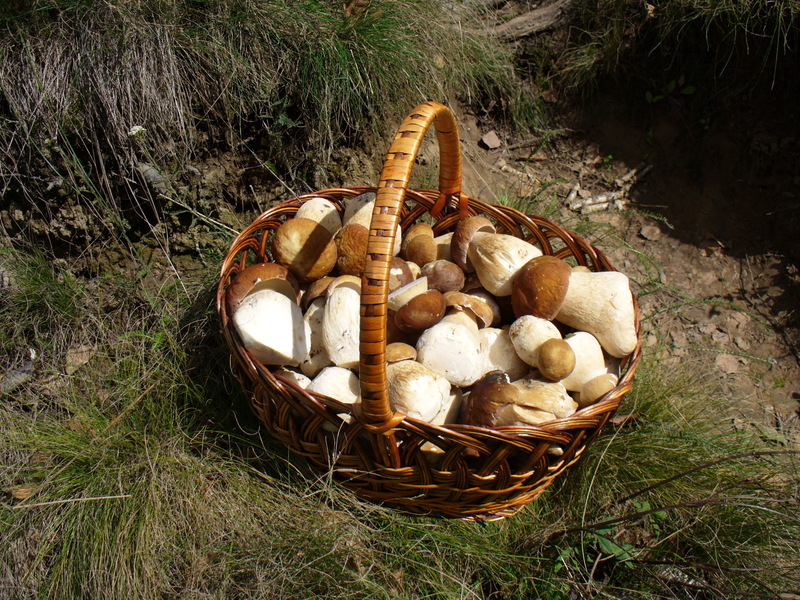 Foraging can be fun, economical and educational. Be careful but explore. What interesting food item have you discovered on your own local hunting adventures?